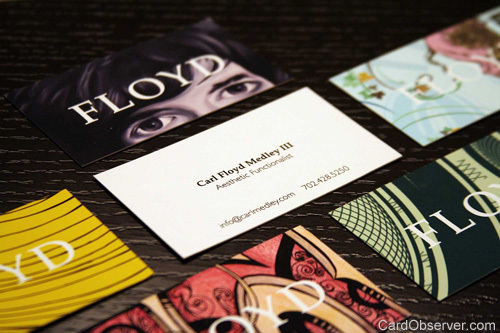 Personal business cards. Type is set in Palatino and Gill Sans. There are 5 different choices for the back of the card, each showcasing a small window of samples of my work.